In the December 13, 2016 Ask The Headhunter Newsletter, a reader asks how to formulate an exceptional elevator pitch. I have been out of the corporate world for over 10 years. I recently sold my business and am contemplating my options. I am too young to retire (in my mid-50s), yet too old to be a hot prospect for most companies, so I am networking. I was recently asked for an “elevator speech” about myself. Of course, I know what that is, and admit it has value because it forces focus. Yet I am vexed by the prospect of re-developing such a tool, partially because I am not sure what I really want to do and I want to keep my options open, and in part because I always question the value of a bumper-sticker-tool in changing times. What are your thoughts? 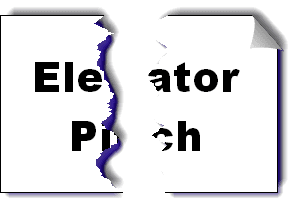 Is an elevator pitch valuable? What are the critical elements as you see it? How should it be developed and delivered? What’s the best you have heard? Thanks for your time. I have been a subscriber for several years and recognize a great content developer, and blogger, when I see one! There’s no way to focus on what you cannot see, but more about that in a moment. Your instinct is right. It’s time to hack the elevator pitch, because I think elevator pitches (or speeches) are nonsense. By definition, an elevator pitch is about you. You meet me in an elevator and you spout your pitch. But I don’t know you, so I couldn’t care less about you. I don’t need or want to hear about you. Why would I be impressed that you can talk about yourself? I care about my business and the problems and challenges I face. And they’re all unique to me. (See How to get the hiring manager’s attention.) Hearing about you does nothing for me, because when you rattle off that speech your objective is for me to listen carefully, then to invest my time trying to figure out what to do with you. That’s an unreasonable presumption. Now, if you have something useful and specific to say about my business that reveals you’ve already made an investment to understand my plight — that’s worth listening to. If you say something on the money about my business, the encounter shifts. I’m suddenly interested in who you are, and I might want to know more about you. We might even become great friends. This brings us to the fundamental trouble with job seekers. On the whole, what’s painfully lacking in their presentation is attention to the person they’re addressing. An elevator pitch is all about the speaker — it shows no real respect to the listener. Similarly, a resume that you hand to every employer is about you, and your objective is for each employer to figure out what to do with you. Consider how presumptuous that is. More to the point, consider that no employer has the time, interest or ability to figure out what to do with every job seeker that comes along! If you think about it, investing time in producing a canned elevator pitch is pretty silly. Selectively and thoughtfully investing some serious time in understanding the business and problems of someone you want to work with — that’s smart. Of course, it means you must carefully select your target, right? Or, why bother making such an investment? You must prepare a short speech that’s highly specific to that individual — one that wouldn’t mean anything to anyone else. Only if you have time to do that do I have time to hear you out. When you ran your business, did you ever stand on a street corner reciting information about your products to impress people? I know the answer. So, why would you even consider doing that now? Thanks for your kind words. 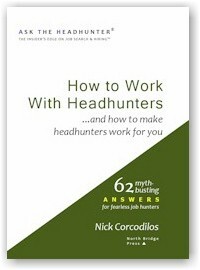 Glad you enjoy Ask The Headhunter. Please use your good business sense when pursuing a job, if it’s a job you want. Because employers don’t pay for elevator pitches or interview skills. They want business acumen that addresses their specific issues, and that contributes to their bottom line. One size does not fit all. What will get the attention of someone you want to work with? Do you use a prepared speech? How do you know what to say? How “elevator speech” is used is out of wack. But being prepared to share a few details (and hold back a few details) is important socially. Some of us struggle with this more than others. In the same category is having some good questions in your pocket…”elevator questions,” if you will. The “elevator speech” is having a few things to share with someone else when they ask questions you. Gregory: You’re allowed :-). I love your idea of having good “elevator questions.” Perhaps the more an elevator pitch becomes a short speech to stimulate discussion, the better it is. Martin: Like Gregory, you’re hitting on the “anti-elevator-pitch” — an on-the-fly speech that’s tailored to whom you’re talking with. I think that’s the key. My point is that the speaker has to know enough about the listener so the elevator speech addresses what concerns the listener. What I’m really trying to do is prod people to study their listener. I think you are spot on. I’ve had a similar kind of conversation many times, and for many years when talking with recruiters. The “What kind of role are you seeking?” or “Tell me about yourself?” kind of questions are equally ludicrous. It has nothing to do with what I am seeking or what I want… it has to do with what the Market or more specifically what the Client wants. My goal is to align with that and serve them and help them reach their objectives and be paid accordingly. When I had employees those were the kind of employees I wanted, and as an employee that’s how I focus my attention. So being prompted (or lured off a cliff) to puff your ego and fantasize about what you want signals “amateur” to me… unless it’s a test to see if you are an arrogant self-centered blowhard. Elevator pitches have transformed from scripted response into what is relevant for the job. A real life example I have used when interviewing . . . upon my departure as the management representative, I was honored the union gave me a going away party. This contrast (union likes management) opens the door for further questioning and demonstration of how I got the job done. The name “elevator speech” is misleading. No one wants to be accosted by an elevator speech when on an elevator. However, in job clubs and formal networking groups you need to say something about yourself when they go around the room and you might as well be prepared. I like self-intros that have more steak and less sizzle. In networking situations, it’s helpful to communicate the kind of info that helps people help you. We want to know what you do—often a simple job title will suffice—and who you help. AND KEEP IT SHORT. I worry about the amount of time job seekers spend with job clubs. Hanging out with people who are also looking for jobs is not the most productive way to find a job yourself. But having said that, I do pro bono presentations for a couple of very good local job clubs — and I tell them what I just said to you. Don’t get complacent. Go hang out with people who do the work you want to do — and be ready to find out what they do. My idea of standing up in front of a room of people to give my elevator speech is to ask someone in the crowd to tell me what problem they’ve faced at work, related to X, where X is what I do. Then I tell them how I could tackle that problem better than anyone else. It serves as a free sample that’s highly focused and demonstrates I can grasp a problem and, thinking quickly on my feet, address it head-on. A while back, I was asked what I do for a living. I had a hard time answering in a thoughtful way – I hemmed and hawed, and (in short) was not impressive. It took way too long to give a reasonable account of myself. I think this is the situation the “elevator pitch” scenario is supposed to help – if you think about it, take your time and work on it, you can be better at describing yourself or a project you want to pursue. In fact, that is the common link between the two positions: do your homework. Think about who you are and think about why you want a particular job. I tell people when I am hiring – I don’t hire a person who wants A job, I hire one who wants THIS job. If someone has not learned about me or my company, or does not ask incisive questions about the job, then that person is not serious about the job I have to fill. I am willing to bet that if you think about it hard enough you may figure out why YOU would be a great fit for THIS particular position. The key here is being thoughtful in your responses – having thought through things beforehand. If someone tells me that they can “increase my profitability by 10%”, he or she better be right (or better be able to make a good case). If the candidate has not done the hard work of analysis and thinking, the interview is probably over right there. Arrogance does not play. Therein lies the rub – all the quick work to shine yourself up does not hide BS underneath. So maybe the perfect elevator pitch is a series of questions that reveal you already understand the listener’s business (you’ve done your homework), and that you know how to plan a way to address his or her problems. Agreed! The operative word here is “reveal” – not window dressing or lipstick for the pig, but insight gained from hard work. Yep — and there we have the worldwide problem with recruiting and hiring today, and with why employers claim there’s a talent shortage. Employers don’t expect job seekers to do any work at all to map themselves properly onto a job. All the employer expects you — “trains you” is more like it — to do is fill out forms. And job seekers don’t do any work at all to approach a job — they expect the employer and its algorithms to “review” them. Meanwhile, rejections are so common that this process is less productive than rolling dice. Employers are stunned that no one matches their needs, and job seekers get frustrated when they are summarily rejected. I think most, if not all, elevator pitches are at best “Please hire me or pass me to your friend…”thinly disguised; at the the other end of the spectrum they are the worst kind of bloviation written for you by an expensive career counselor who doesn’t know didley about your industry, what you really do and how you could help XYZ Corp. If you can’t answer, “What do you do?” in a thoughtful but brief answer why the hell are you wasting your time networking? I think it’s because there’s an entire employment industry that’s programmed employers and job seekers alike to blubber and blather rather than talk about how to work together. The fact that you can PAY someone to teach you how to do this is proof of the problem. Pay to talk stupid??? Yep. Oops. How would I know what you’d pay for? Exactly. If you can’t figure that out before opening your mouth, why would you open your mouth and embarrass yourself? I love the discussion here. Everyone gets it! Now, how do we teach the world how to undo the brainwashing? I really do think almost everyone is capable of doing this right. But I will also share some advice from a chemist friend who is very matter of fact. The scenario was that I was complaining about poorly trained recruiters giving phone screens and over focusing on why a left my corporate role with a top company (It was my decision entirely). Her advice, STOP THEM and ask “What can I do for you”? This is the segway and opportunity to take the next important step to verbally translate your value to THEIR current need–something any job searcher should be well prepared to do. It took a day or so for me to recognize the brilliance of the simple statement. I also felt that it addressed the climate, much like the fast food industry’s “what can I get for you”. I don’t like the term elevator pitch primarily because I am not for sale. Just like the employer I am trying to ascertain fit. And, just like the employer I want to spend my time focusing on the areas of my experience that matter most to this role. An elevator pitch is to open, “What can I do for you” gets to place where are can be specific. 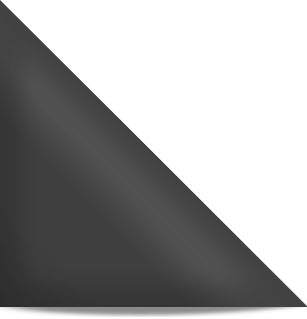 HR Hyybrid – Best. Insight. Ever. HR Hyybrid: That’s a good one, and you’re right, it fits the fast food trend: What can I get for you? Ironic, isn’t it, that fast food workers are taught this very fundamental question, while few CEOs, managers and professionals would ever think to ask it. Nick nailed the weakness of the concept. It’s Karma based. I develop this summary of myself and what? I wander around and every chance I get I’ll hit strangers I’ve cornered with my pitch..and if so, I just might get lucky. I suppose in good taste it wasn’t called your restroom pitch. Another way to think of it is to remind yourself that when job hunting you’re in sales, selling You Inc. Sales people don’t do elevator speeches, “hey I’m charlie, I sell widgets, really good widgets, how many can I put you down for..sign here” Doesn’t work. Not done. Nick’s right. It’s an outplacement invention, & I’ve never heard of strangers passing in the night with one of them landing an opportunity via a few minutes speech. The nearest I’ve heard of is someone who sold his value to a hiring manager he was sitting next to on a long plane flight. As the writer noted, the “elevator speech” is a tool that forces you cut through all the wonderful things we can do, to focus, cut to the chase and develop your bottom line. That’s worthwhile. Once you figure yourself out, & can succinctly explain it, you’re prepared when opportune, to share it, without hemming hawing and sounding like you’re giving a researched speech. Once equipped, you can reverse engineer your pitch into Nick’s direction, and create your elevators/opportunities to make a managed pitch. As long as you’re making an effort of hunting for a job, or a promotion, do a lot of homework and find potential employers/hiring managers who you believe NEED your added value, where you think you’d like to be, and get to work. ( And I don’t mean find advertised jobs that fit your specifications, but people and places you believe need your touch.) You now have real networking targets. Don’t hunt for jobs, hunt for companies in which you may be able to create your own job if one doesn’t already exist. When you network into a situation/opportunities where you can talk shop, you’ll find that your “elevator speech” will make a great closing statement as to your value and why they should bring you aboard. So think of it as developing the ending of a fruitful discussion not the beginning, your summation, the points of which you’ve made during the conversation. Think of yourself as a sales person, and a good closer with a great closing statement. Having an elevator pitch in no way means you don’t also have what you can do for the company ready also. And elevator pitches are not things you spout at others uninvited. I think the writer would be well served to do an elevator pitch because he or she does not know what he or she wants to do. An elevator pitch will focus the mind – and maybe a few are necessary, one for each possible direction. While I agree candidates have to be benefit focused (I hate resumes where the goal is for the candidate to grow) most interesting problems are complex enough so that someone coming in cold and without an NDA is not going to make a useful contribution five minutes into an interview. But I do agree that after the elevator pitch, it would be good to ask the elevator question. 1. In a simple social setting, it’s fine to tell who you are and what you do. In this situation I agree with you. 2. If your goal is a job or business opportunity, who you are doesn’t matter (to start). Who the other guy is (I mean person, but I include men and women when I refer to guys) is all that really matters. 3. It’s your job to find out who the other guy is before you say much — or how do you know what you’re going to say about yourself has any value to the specific person you’re addressing? No NDA required to answer the question, “So what do you do?” with “I’m an engineer and I’m always interested in the problems and challenges other people face in their work. What kinds of challenges do you see in your business?” Clearly, this is not an answer in a simple social situation — but it’s perfect when you’re in a context where everyone knows that doing business is the objective. I don’t think an NDA has anything to do with it. I think the problem is with the idea that someone is “coming in cold.” That’s a fatal mistake. It’s like a lawyer approaching a witness without knowing everything she can learn about the witness and the case. Today’s employment system makes it perfectly acceptable to walk in cold. But it’s not. It’s a fatal mistake if your goal is to do business. For about three years I’ve been running a business teaching communications skills for people in the financial services industries, so people come to me for advice on job searching periodically, and the number of times I see one of them so wrapped up in their own needs that they can’t see the obvious perspectives of the employers in front of them, makes me want to bang my head against a wall. Don (above) reinforces the fact that this learned attitude is an invention of the outplacement industry, whose practitioners — for the most part — are making stuff up as they go along. They’re clueless in their mission to make money selling gibberish under the guise of expertise. I have often found it challenging to elicit “pain” from a prospective employer or person. Often they have difficulty articulating that. I can help them do it if they allow me to and come up with how I can help. Getting the information I need to show them my value to them can be time consuming and difficult. They have to want to go there and a trust factor is needed. Networking can help establish an initial trust factor if you come via a good contact. To find one, good networking with good networkers needs to be done. Job search advocates push networking but I sometimes find this disappointing. Your thoughts on getting to the pain to solve a potential employer’s problems? @Linda: Networking is work (at least for people like me). The best networking advice I ever received is to have a list of people you want to talk to (no more than five). Once you have met, talked, and [hopefully] exchanged information with you list, you are done working. Stick around and visit (if that is your thing) or go home. But you are done. Discussing weakness and points of pain can be very personal. To get beyond the basic carping we all do takes time and trust. And people in business are always being approached by some gimmick or technique that will fix whatever is wrong. Where networking helps with this is if you are a common face in whatever circles you travel in, people will begin to trust you. They will also pick up on those who only show up when they need something. Then he just shuts up, makes no apology for his question, and waits for the other person to either answer or ask what he means. Then it’s off to the races. There’s one interesting and not uncommon possibility if you try this. The other person either doesn’t really hurt anywhere, or has no idea where it hurts. That’s your signal to either question further to help them, or to shake hands and say goodbye — because you’re probably wasting your time. If you are asking someone to help you in your job search, you need to be able to tell them what would be most helpful to you. That might or might not be your elevator pitch. 1. Career direction counseling (not coaching). 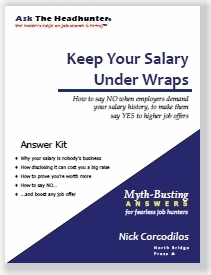 I agree with you, Nick, that many products that career services providers offer are a waste of money and, more importantly, time. 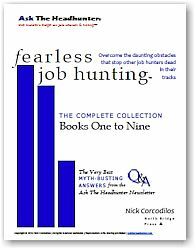 Donna: I think your list pertains to talking with career consultants. Not other professionals who might lead to introductions that lead to job opportunities. The point of the ideas here is to address what’s most important to the other person, so that you can think fast on your feet to address that. And, hopefully, before approaching a person, you’ve done your homework on them and their business and you have some ideas prepared. You discussed more than one topic in your post. The first paragraph addressed elevator pitches. The second paragraph talked about career coaches. My list outlines where I see value in working with coaches. However, you’re right, coaches sell many more services than the ones I listed. 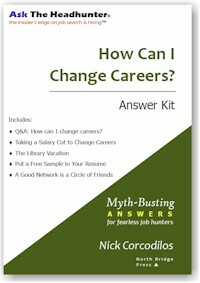 I don’t see many of the services I didn’t list helping job seekers more than they help career coaches. Coaches can be helpful, but the world is awash in them and it’s had to find good ones. My advice is to find them via referrals — people who’ve used them with success — and to pay as you go so you have a stop-loss if you’re not satisfied. I second your comment about coaches. In my observation, coaching and coaching success is extremely subjective. I recommend anybody considering hiring a coach (or counselor) write out exactly what they would consider success (e.g. “a position with a new company in my field with a 20% increase in total income). And talk to at least three people in your field/industry who found similar success. It is not just the phonies we have to watch out for. There are also good people who are only successful within a particular area of expertise. As an electrical engineer at the age of 51, I read such statements with great interest – I got a new job in the past year, and I am contemplating going back to school for my MSEE (I already have a Master’s degree in Music along with a BSEE). When I interviewed for my current job, I came into the interview where they had already decided that I am the candidate they wanted to hire. There were two more interviews, but sure enough, they kept in touch with me, and my interviews with them were short (one hour in-person, one hour phone with my boss’s boss, and a half hour with HR). The job is working out well, and I am respected. You read that right: I was a hot prospect! Most importantly, I have a comprehensive set of skills, and am constantly learning new ones. My goal is to keep being a “hot prospect” until the day I die. Another observation: I went to an all-day seminar on new Bluetooth LE technology put on by one of our electronics vendors, and noticed that I was probably right in the middle of the age range in that room (one gentleman must have been in his 70’s). One cause of concern is that this room of 25 to 30 people was all men – why aren’t more women interested in electrical engineering? Even so, with all the press about the “tech profession” being a “young person’s domain” where you can expect to be forced into retirement by age 30, I have to wonder where that information is coming from. The Bureau of Labor Statistics shows little if any growth in electrical engineering. Yet, to write software, one must have hardware to write it for. My strategy, then, is to keep abreast of technology and learn new techniques. Consider, however, that the Apple Macintosh computer runs Unix on Intel set processors, and Unix is an old operating system. Also, Ohm’s Law still applies. In other words, what looks new is often built upon existing technologies. Your readers should look up the actress Heidi (Hedy) Lamar who had a role in the invention of the first frequency hopping radio in WWII – like that radio, Bluetooth uses a frequency hopping technique. I see myself continuing to be valuable for a long time, and in 10 or 20 years’ time I get the feeling I will be even more valuable. If I am wrong, please tell me – and then tell me what I should be doing with my life instead of electrical engineering, because if “high tech” is indeed a young person’s domain, then I need to change careers now and get into a field that is more appropriate to someone my age. After all, my friends tell me it’s all software and that there will be no hardware opportunities, and that only young people can do software because older people don’t have the latest techniques. As a guy who’s not an engineer, but who has spent much of his life around EEs, I love your comments. Others need to read what you say, especially older EEs who tell their kids not to go into engineering. You’re an ad for the profession! I think you’re doing exactly what you should be doing. You’re the perfect example of an older professional who is so focused on engineering that you probably push employers past any age bias they may have. When I started headhunting in Palo Alto, college EE programs had already started to shift toward almost purely digital disciplines, and away from the analog arts. EEs were graduating with only a bare understanding of analog technology – they proudly hoisted their digital flags. Just like digital technology is meaningless without analog inzes and outzes, so software is useless without hardware to run it on and without hardware to make things happen in the physical world. I crack up when I hear people say software is where it’s at. But the world has always been naively dependent on advertising for its opinions. And wi-fi – sheesh. Try to explain to people that it all rides on “old fashioned” radio waves. I love listening to IT people wax eloquent about “the cloud.” They glaze over when you ask them if they’ve ever seen a mainframe – aka, a “host.” Server farms, indeed! The cloud is perhaps the most brilliant marketing concept in technology – right next to Steve Jobs’ pitch that you don’t need to know anything to use a Mac because it’s “user friendly.” Jobs was responsible for talking generations of kids out of taking things apart to look under the hood! He cost us more engineers than any other human being. Like you, I’m mystified at the dearth of women in engineering. But that’s another story. I think it’s related to the idea that old engineers have nothing to contribute to the world of software. Just ask a programmer to explain how his code makes pixels appear on a display. I know programmers who have no idea what the inside of a disk drive looks like, much less what an AND gate is. And I’m not even an engineer. Ironically, I think women are better wired than guys are to deal with the implications of technology – but no one wants to talk about real technology. The world is awash in consumers who have no time to think about producing the technology they use. Thanks again for posting! And my apologies to other readers who might wonder what the analog-digital distinction is all about. It’s worth looking it up. I admit to having a bad knee-jerk reaction to the term “elevator pitch”. Have you ever noticed that if there are other people in the elevator when you get on, no one makes eye contact, much less smile or engage in the most banal small talk? So the idea of pitching an idea, a sale, an invention, an opportunity, or anything to a stranger on 2.5 second ride on the elevator seems ridiculous. If people won’t even make eye contact with you, don’t know you from Adam, why would they care or want to hear what you have to say? On the other side, as others have noted, if the “pitch” is all about you you you (the job hunter) without any acknowledgment or interest in the business or agency, the employer has no reason to be interested. I think the point is to research the person, company/agency, job, and problem, then tailor your “pitch” to the solution you can offer. I love your comment on Steve Jobs. I have never been an Apple fan (to put it mildly) but I think you nailed what my problem with it is. I spent my career right at the boundary of software and hardware. While I knew some software people who didn’t understand what was going on under the hood, I knew more smart hardware people whose vision was limited by not understanding software. They were frozen by datafiles too big for a spreadsheet which could be processed by a 20 line Perl script in under a second. Kevin shouldn’t worry – at 64 I was teaching engineers 30 years younger than me the ropes, and I was able to keep on learning new things. 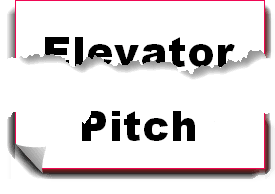 As for elevator pitches, they are great for elevators – and parties – but not so great for interview rooms. I absolutely agree about the need for research. I was impressed by those I interviewed who took the time to Google my company and me. But if I were still interviewing, I think I might ask the candidate for an elevator pitch – it might show if they understood themselves and their strengths. But don’t think a candidate can find out that much about a company. I know someone who moved to Apple and seems to have forgotten how to talk. My company was only mildly secretive, but my colleagues at similar companies had no idea of what our issues were, and they are experts. If a candidate asked what our biggest problem was (a good question) I’d probably answer something generic. On the other hand, a candidate who knew our released product line would have an edge up on others. Nick, how about a discussion of women in engineering? I’m one and loosely follow the research on the topic of women in STEM. It seems the biggest obstacle is getting women to stay in engineering – not in getting them to major in it. I have some ideas and am curious what others think. Lynne: I think that’s a good, overdue idea. Do me a favor and drop me an e-mail. I’d like to know what you think, and what resources you’ve been reading. It’s time for an article and a discussion. Thanks for posting this.